The Michael J. Fox Foundation for Parkinson’s Research (MJFF) and 23andMe announced a collaboration to build a large, diverse cohort of both patients and control volunteers who have consented to participate in research. This cohort will provide researchers, drug makers, regulators and payers critical insight into the lived experience, genetics and variability of Parkinson’s disease. The study, Fox Insight (foxinsight.org), is open to anyone 18 or older worldwide with or without Parkinson’s disease and aims to recruit tens or even hundreds of thousands of patients to contribute data. Increasingly, Parkinson’s patients seek to be active contributors to improved disease understanding and the search for new therapies. To that end, Fox Insight facilitates patient sharing of information about the lived experience of Parkinson’s. The study complements traditional clinical research with scale and accessibility, supplementing in-person studies with cohort size and rigorous patient perspective data gathered over time. Fox Insight’s flexible design enables integration of diverse data collection modalities — such as remote biological sample collections — and the online nature of the study allows a broader population of patients, who may face geographic, mobility or transportation challenges, to contribute data. Starting in 2018, data from Fox Insight will be de-identified and made accessible to qualified PD scientists in real time, for independent studies. The aim is to increase understanding of the variability and progression of PD, expand understanding of disease and influence research drug development and healthcare priorities. Access to the Fox Insight dataset can shorten research timelines, accelerate “go/no-go” decisions and advance new therapies faster. Through a collaboration between MJFF and personal genetics company 23andMe, Fox Insight participants diagnosed with Parkinson’s also may choose to contribute genetic data to research by completing a 23andMe genetic test at no cost. This will open new opportunities for researchers to correlate clinical features of PD with underlying, individual genetic biology for better drug design toward precision medicine. MJFF and 23andMe share a commitment to building large networks of patients and researchers to work together toward deeper understanding of Parkinson’s and new PD treatments. From 2009 to 2017, 23andMe’s PD Research Community (who may now choose to participate in Fox Insight) enrolled 12,000 patients who contributed genetic and phenotypic data for disease study. 23andMe continues to generate a deep well of knowledge surrounding the genetics behind PD and an infrastructure to mine data for genetic discovery. Fox Insight study participants who are new to 23andMe will receive the full 23andMe service, including the option to access genetic health risk reports containing information on genetic variants that are associated with risk for Parkinson’s and other conditions. Genetic discoveries over the past two decades have revolutionized Parkinson’s drug development by illuminating new pathological pathways that drug developers are targeting with therapies to slow or stop disease. Combining Fox Insight’s datasets of genetic and phenotypic data will lead to more complete knowledge of the disease through better understanding of the underlying disease process, potential therapeutic targets, and how symptoms and disease course may differ depending on whether a genetic mutation is present. Patient privacy is a top Fox Insight priority. All contributed data is de-identified and kept on a secure server to maximize protection of individual-level data. Individuals who access their Parkinson’s genetic health risk report are eligible for complimentary genetic counseling on PD-associated genes included in that report. Fox Insight’s genetic data collection is funded by The Michael J. Fox Foundation with a grant of more than $4 million to 23andMe, which includes the costs of making the 23andMe service available to participants at no cost, as well as storing and maintaining the data. For more information on how The Michael J. 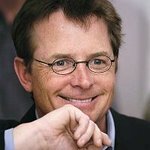 Fox Foundation and 23andMe are collaborating to speed Parkinson’s genetic research, visit michaeljfox.org or 23andme.com/PD.